Improper alignment of the vertebrae in the spinal column is the cause of a myriad of pains experienced by the human body. These improperly aligned bones are called subluxations, and thankfully they are very treatable. Chiropractors can correct subluxations through the use of pressure, massage, and manual manipulation of the vertebrae and joints, reducing the pressure and irritation on the nerves to reduce pain. Better yet, chiropractic treatment does not require drugs, leaving patients free of the unwanted side effects that frequently accompany modern medicine. The result is a body that is once again in homeostasis, or its natural state of balance… or put another way, when the bones in your spine are allowed to go back to their proper positions, your body’s natural healing processes can function properly. Generally speaking, proper chiropractic treatment of the body’s lower back region involves very little risk and significant rewards. Chiropractic or osteopathic adjustments can be especially helpful in relieving pain for facet joint injuries, osteoarthritis, and sacroiliac joint dysfunction, as such conditions usually respond well to mobilization. Moreover, scores of patients with chronic headaches, sinus problems, ear infections, arthritis, and many other illnesses have reported significant relief after chiropractic therapy. Once upon a time, the medical community dismissed chiropractic care as being far inferior to their methods of pain management, if it worked at all. More recently, however, the medical community has come to welcome and see chiropractic care as a credible form of treatment for a variety of neuro-musculoskeletal conditions. Additionally, a significant number of medical doctors see a chiropractic diagnosis and take it as the first line of treatment for disorders of the entire musculoskeletal system. Studies by leading medical journals in recent years have confirmed the benefits of chiropractic care. For example, a 1993 report by the Ontario Ministry of Health concluded that chiropractic care was the most impressive remedy for lower back pain. The agency also suggested that chiropractic care be fully integrated into the Canadian government’s health care system. 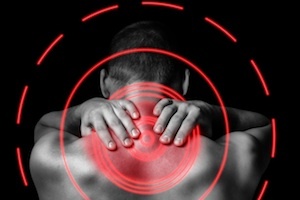 In 1994, the federal Agency for Health Care Policy and Research’s Clinical Practice Guidelines contended that spinal manipulation was useful in decreasing pain and improving recovery times among patients with acute low back symptoms. A 1996 New England Journal of Medicine study of results and costs for acute low back pain discovered that patients served by chiropractors were decidedly more satisfied than those who sought out primary care, orthopedic or managed care practitioners. A subsequent study in the journal Spine confirmed its predecessor by finding that patients who needed chiropractic care were more inclined to feel that treatment was elpful. And more likely to be satisfied with their care, and less prone to look for care from another doctor for the same condition, compared to those who sought care from more traditional doctors. Finally, studies concluded that chiropractic care was effective for more than just lower back pain. In 2001, the Center for Clinical Health Policy Research at Duke University found that spinal manipulation produced an almost immediate advancement for cervicogenic headaches, or those that originate in the neck, and had significantly fewer side effects and longer lasting relief of tension-type headaches than a commonly prescribed medication. Science is clearly on chiropractic care’s side.